James Kalm visits an exhibition of paintings by Andrew Masullo at Mary Boone Gallery, New York, on view through April 27, 2013. Kalm films a walkthrough with close-ups of many of Masullo's signature small-scale abstractions. 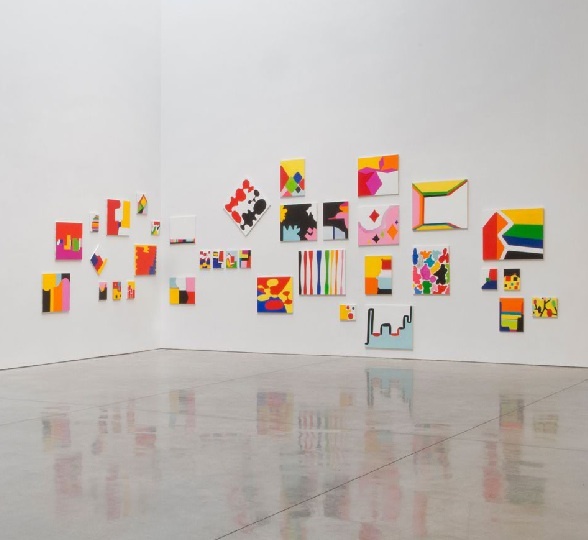 Kalm notes: "Developing a recognizable style which melds formalist nonobjective design with the hot punchy color of Neo-Pop graphics, Masullo has become an exemplary practitioner of the New Abstraction."